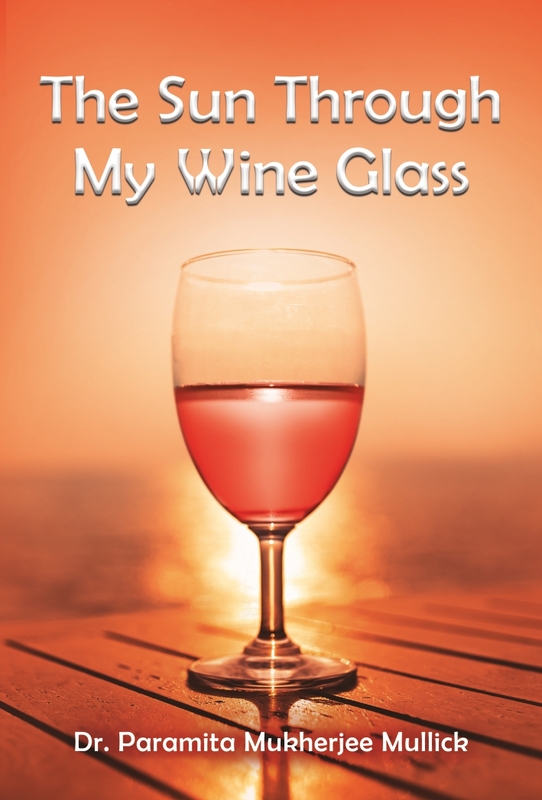 The Sun through my Wine Glass is a collection of sixty poems. The poems speak about optimism. The poet feels beauty and goodness overshadows ugliness and wickedness. When you see a colourful Kingfisher through a barbed wire, the harshness of the wire is no longer there. So enjoy poems of nature, beauty and love. 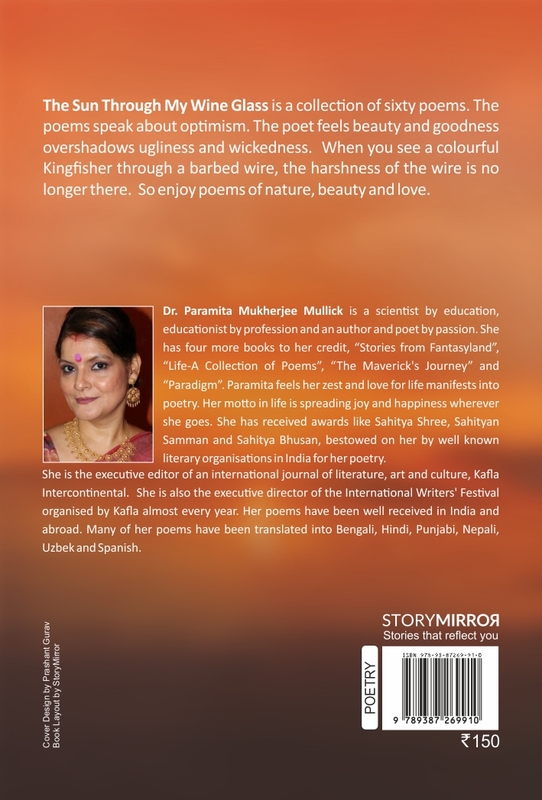 Dr. Paramita Mukherjee Mullick is a scientist by education, educationist by profession and an author & poet by passion. She has four more books to her credit, “Stories from Fantasyland”, “Life-A Collection of Poems”, “The Maverick’s Journey” and “Paradigm”. Paramita feels her zest and love for life manifests into poetry. Her motto in life is spreading joy and happiness wherever she goes. She has received awards like Sahitya Shree, Sahityan Samman and Sahitya Bhusan, bestowed on her by well known literary organisations in India for her poetry. She is the executive editor of an international journal of literature, art and culture, Kafla Intercontinental. She is also the executive director of the International Writers’ Festival organised by Kafla almost every year. Her poems have been well received in India and abroad. Many of her poems have been translated into Bengali, Hindi, Punjabi, Nepali, Uzbek and Spanish.